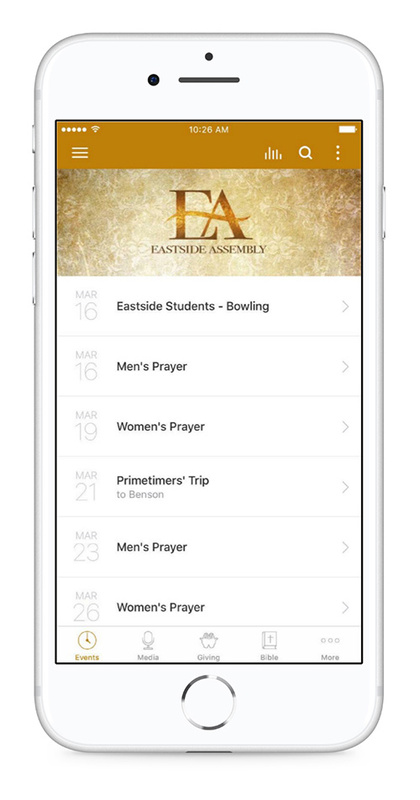 Welcome to the Eastside App! To help people change lives this app includes live services, interactive notes, previous messages, a full ESV Bible, a Bible reading plan, and much more. After you have experienced and enjoyed content, you can share it with your friends via Twitter, Facebook, or email.